"Cash me outside how bout dat?" Why is it important to speak out about what's happening in the US? I don't know. How about the fact that this was just his first week? We won't succeed unless we understand this that if you are not speaking out about issues that don't affect you at the moment, you have already chosen your side. 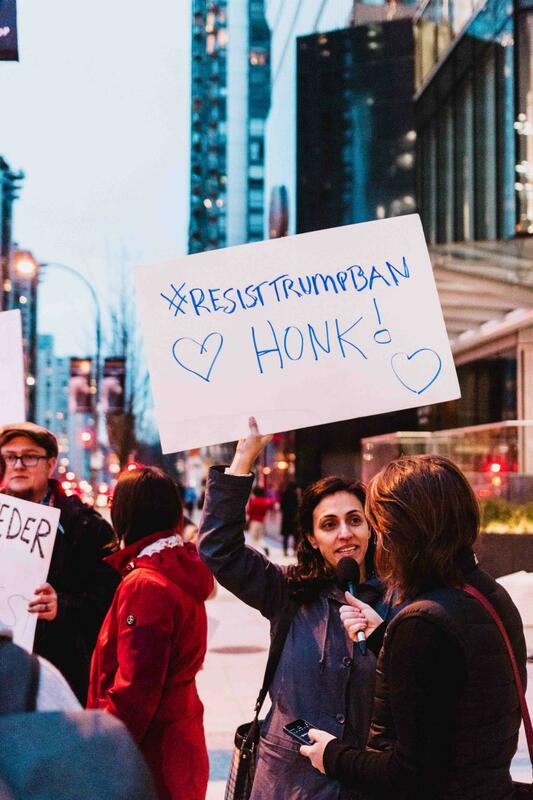 Anyway, shout out to those who came out to this protest at Trump tower in downtown Vancouver.